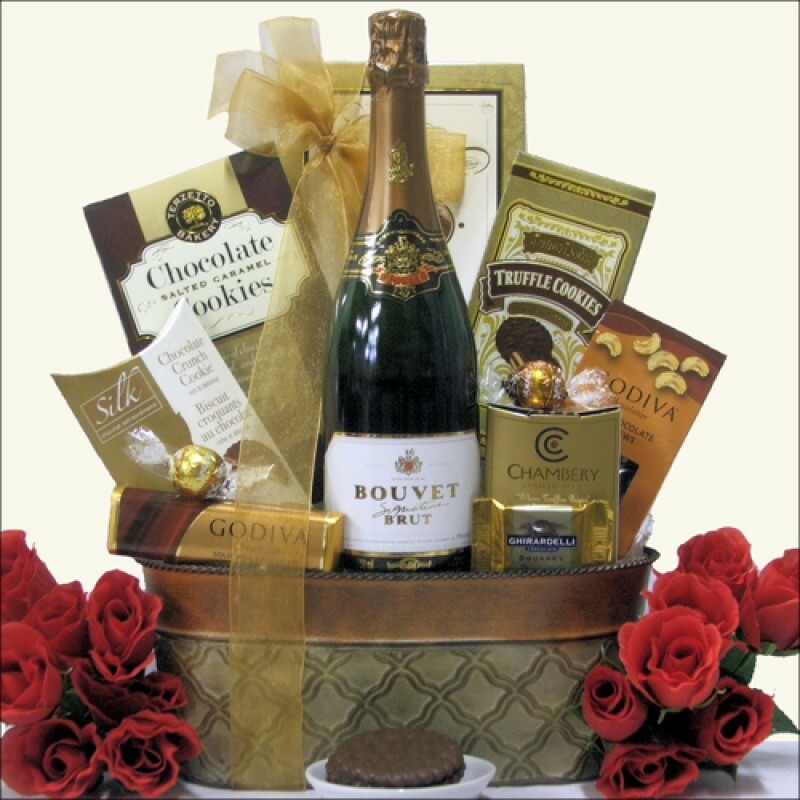 They will love to open this gift basket that is both 'Sparkling & Sweet'. The Oval Metal Tin with Embossed Design is filled with your choice of one of the following Sparkling champagnes: Cook's California, Bouvet Signature Brut, J Vineyard Cuvee 20 Brut, Moet & Chandon Imperial, Taittinger Brut La Francasie or Dom Perignon Vintage. They will also receive a wonderful assortment of sweet treats including Godiva Milk Chocolate Chocoiste Bar, Lindt White Chocolate Truffle, Gourmet Chocolate Salted Caramel cookies and more. A perfect gift for any occasion. ...in an Oval Metal Tin with Embossed Design.